This is the new hot (and buttered) food trend - simple toast recipes that everyone can make. Hungry food fans everywhere are toasting sourdough, spelt, and rye and loading them with luscious delighted to make a simple, satisfying meal. 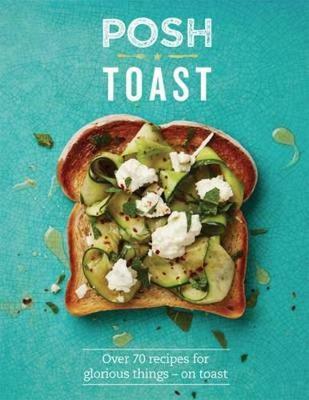 Posh Toast features every toast recipe you could ever need, covering breakfast, lunch, snacks, and supper, plus a guide to the basics of toasting. Every recipe has a photo and easy-to-follow instructions, making it the ultimate gift or self-purchase for toast addicts, novices, and expert cooks alike. It's everything good. On toast. It's Posh Toast.